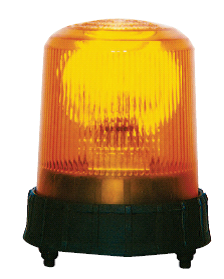 Sirena Rotcar BV Rotating Vehicle Signalling Beacons for Vehicle Signalling Applications. – 3 point mounting or optional magnetic mounting. – Vibration absorbing rubber base. – Application: Municipal vehicles, off-road vehicles, and bush-fire trucks. – Voltage: Dual voltage 12/24VDC (bulb voltage must be specified). – Flash Rate: 160 rpm. – Temp Rating (degrees Celsius): -30 to +50. – Construction: Rubber base, acrylic lens. – Available Lens Colours: Amber, Blue, Green, Red. SIR7101200 3 point fixed mounting, 55W 12V H1 or 70W 24V H1, (specify voltage & lens colour). SIR9720001 B3M magnetic base and 3m cable accessory. SIR3955012 55W 12V H1 bulb accessory. SIR3970024 70W 24V H1 bulb accessory. SIR3710001 ROTCAR lens (specify colour) accessory.